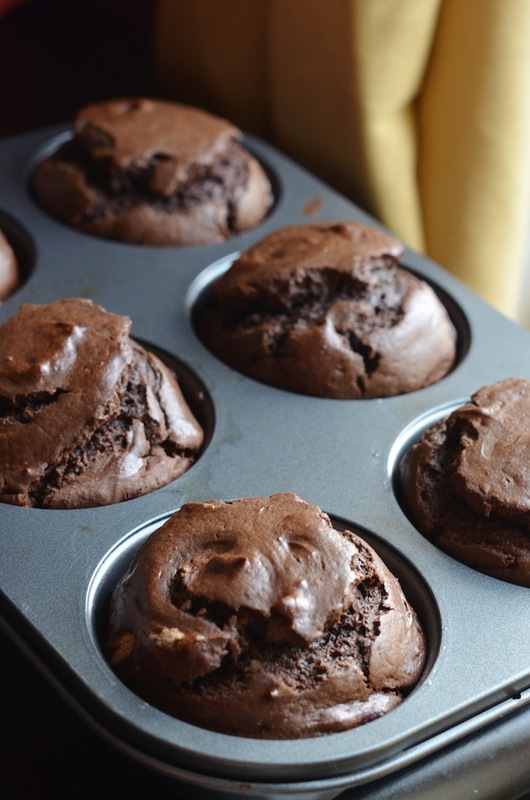 While I'm not making any specific promises, you should know that there is a chance that these Giant Flourless Chocolate Cashew Muffins might help you live forever. A couple months ago, Eugene read a story in the news about a new Harvard study that showed that people who eat a handful of nuts a day live longer than those who don't. The report said that for the benefits to work, one has to eat a serving of nuts at least 7 times a week. We conjectured that since a handful of nuts can help you live longer; eating MORE than a handful will probably make us live forever. We're already big nut eaters in this household, but since then, it's become something of a slightly-morbid joke for us. Anytime one of us wants a snack or just happens to eat something with nuts, we'll say "Eating nuts--going to live forever!" Or "I ate more nuts than you today; you better catch up so you don't die." We also chase Hudson around and feed him almonds and hazelnuts so that he can live forever, too. With this (admittedly flawed) theory in mind, I created these delicious muffins so that we can all live forever in delicious style! 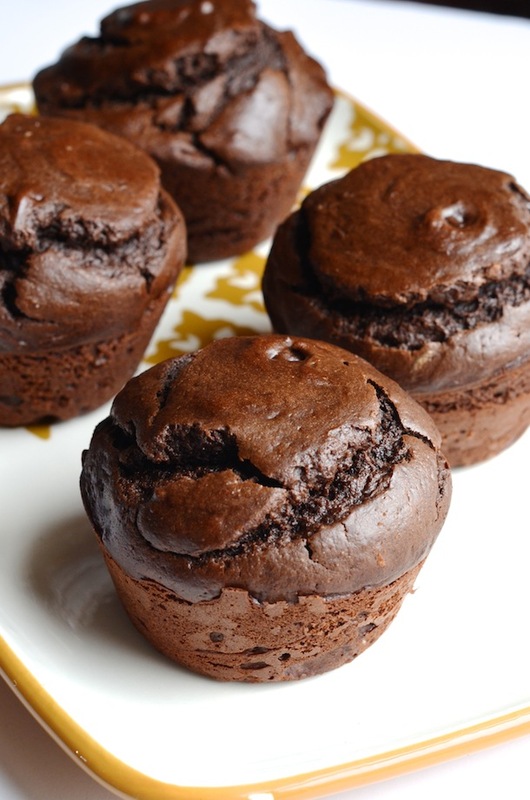 These muffins are made with no flour or refined sugar. The base is cashew butter, which you can make by finely grinding cashews until it turns into a smooth, buttery paste (you can also buy it, of course!). This is mixed with eggs, cocoa, maple syrup, a little vanilla, salt, and baking soda, and then baked into giant puffy muffins. I love to make these in giant muffin pan (that holds 6 instead of the usual 12) for a fabulous oversized muffin (for maximum live-forever-properties, you see), but you can also make it in a regular muffin tin or even a loaf pan. These are fantastic on their own or warmed slightly and spread with butter. They keep well for a few days (thanks to those glorious life-giving nuts! ), but can also be made and frozen. Enjoy these muffins. I'll see you in a 100 years! Preheat oven 350 degrees. Grease an extra-large muffin tin (or use a regular muffin tin). Beat together cashew butter and eggs with an electric mixer until smooth and fluffy (about 5 minutes). Beat in maple syrup, cocoa powder, vanilla, salt, and baking soda. Mixture will be smooth, thick, and glossy (like a brownie batter). Divide batter into prepared muffin tin. Bake 15-20 minutes, or until puffed up and cracked on top. A tester inserted into the center should come out clean. Remove from oven and let cool in pan about 5 minutes, then transfer to a cooling rack.